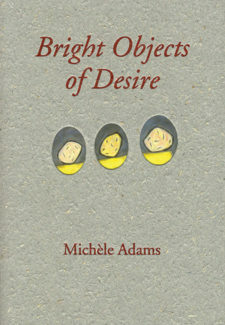 Michèle Adams’ stories have been published in literary journals, dramatized on CBC Radio, and performed at festivals. Currently she’s working on a novel and a radio drama; she’s also active as a screenwriter, with two features in development. Her short script, Beachbound, won the CBC/BC Film Signature Shorts 2003 competition, was nominated for a Leo, and is upcoming on CBC television. In addition to writing, she has taught at UBC and SFU, and works as a freelance story editor and script analyst.